This is one of our favorite watches from Dornblueth & Sohn as it features his most interesting complications - an in-house power reserve indicator, central seconds and date display. To create the Calibre 99.5, Dirk created an elevated central seconds bridge to house the necessary gears for the sweep second function. He also built a hack feature into the movement (the second hand stops when the crown is engaged). The power reserve indicator is located at 9 with the date at 3 providing balance to the dial. And now the extras. The name "D. Dornblueth & Sohn, Kalbe i./S.A." 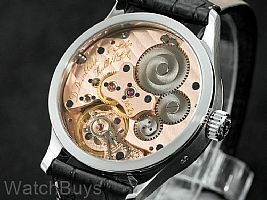 is hand engraved and not machine engraved, a virtually rarity on any watch. And all of the decoration (Côtes de Genève and the sunray finish on the crown wheel and ratchet) are all done in-house, by hand. 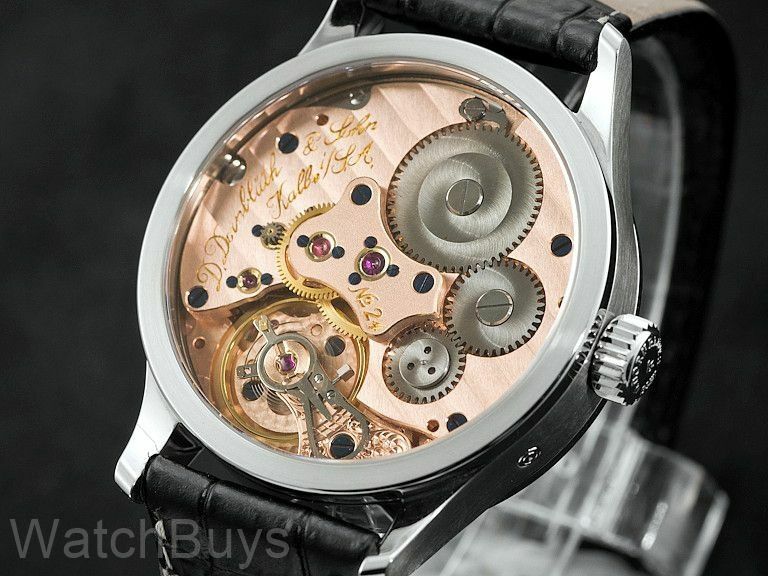 You'll notice that the movement is rose gold in appearance - this process itself is elaborate. After cutting and polishing the plate, Dirk treats the surface to turn the metal a copper color. After all of the drilling and milling operations are complete, the movement itself is treated with rose gold to enhance the deep color. 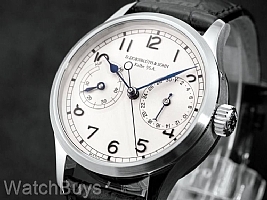 The dial is coated in silver, and is matte finished with black applied Arabic numerals. Blued steel hands.